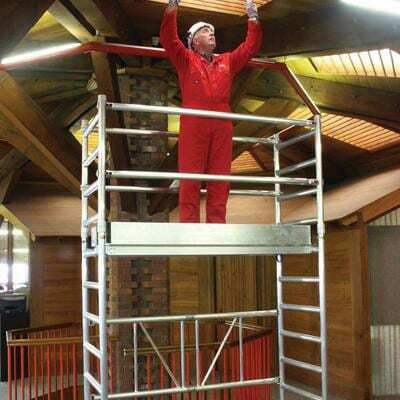 Ideal for indoor maintenance and short term access work over desks and machinery, the Folding Work Platform can be assembled in minutes. Base unit 7 rungs high. Guardrails of 2, 3 and 4 rung high. Achieving platform heights of 0.8m, 1.3m, 1.55m and 1.8m. Supplied with distinct label and security paint for ease of identification on-site. Enhanced safety features as platform is secured with a locking knuckle rather than a standard pin.